In past newsletters we’ve focused on finance, marketing, getting out of debt, sales, and establishing a sustainable growth rate, so it’s time to look at your product line. For some, the statement “more is better” sums up their philosophy on an effective and profitable product line. But that mantra is missing a key word: profit. To maximize your resources and profit, regularly review your product line and note your low-profit-margin items. 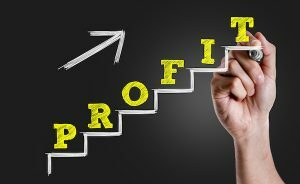 Continuing to carry low-profit-margin items in your product line will depress your profits and hold your potential profit margin down. Typically, these items use up valuable (and perhaps limited) resources that could be more profitably used elsewhere. Tom Monaghan, founder of Domino’s Pizza, tells this story about his first pizzeria:. How do I increase my business’s most profitable activities? Is it really worth it to maintain the low-margin activities? Sometimes a business owner can be too involved in the daily operations to find the time for review and evaluation of their product line profit. CFO-Pro can help business owners sort out the low-margin items.